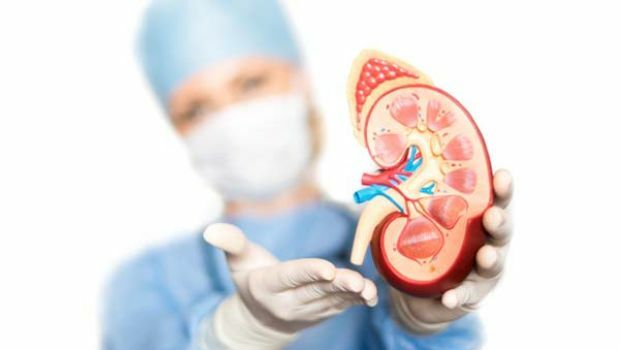 A kidney stone is a hard mass that is formed from crystals in the kidney, which can break off and clog the ureters, bladder, or urethra, causing pain. It can have the consistency of grit or even the size of a pearl. The most common type is calcium oxalate kidney stones, but there are also uric acid, struvite (after an infection) or cysteine (hereditary). Oxalates are components present in many vegetables. They sequester calcium and other minerals preventing their absorption. It is very important that if you have anemia and have prescribed iron, do not take it at breakfast with coffee or tea, or at a meal with oxalate-rich foods because it reduces the effectiveness of the medication. Renal calcium oxalate stones are formed by oxalate precipitation with mineral calcium. This precipitation occurs more easily in an acid medium, so if you can alkalize your pH, you will reduce the risk of forming new stones. By measuring the urine pH with test strips you can check your degree of internal acidity. The idea is to have a slightly alkaline pH in the second-morning urine. The first urine is not measured because it is always acidic since nocturnal rest stimulates the elimination of acid metabolites. There is acidity with values lower than 7, appearing symptomatology due to hyperacidity from 5. If you practice sports with intensity, it is necessary that we previously discard an important elimination of lactic acid in the urine. As the cellular metabolism generates a lot of acidities, you need a sufficient amount of alkalizing foods (they raise the pH) and avoid all the acid and very acidic foods of the infographic. The weak organic acids, once metabolized, combine with minerals to form salts that alkalize the blood; or they are oxidized in the blood and are eliminated in the form of carbon dioxide, through the lungs. Drink at least 2 liters of water a day to dilute the urine and reduce the likelihood of stone formation. Bottled water should be of weak mineralization, type those recommended for feeding babies. To avoid the formation of calcium oxalate calcium stones you should reduce to the maximum the consumption of oxalate-containing foods such as: tea, coffee, spinach, beet, Swiss chard, cocoa powder, pepper, wheat germ, nuts, dark chocolate, leek, grapes, broccoli, cauliflower, raspberries, coffee powder and other foods with a lower concentration of oxalates such as squash, eggplant, strawberries, blackberries, raisins, canned macedonia, beer. Consume only 2 or 3 servings a day of foods with a lot of calcium such as milk, cheese, yogurt, sardines in oil, oysters, and tofu. Avoid foods that acidify urine (salt, red meats, liver, organ meats, beer, wine, fried foods), sugary products, white flour, refined rice, preserves, canned products, concentrated broths, products with yeasts, artificial sweeteners, carbonated drinks, pork, chocolate, vinegar, tobacco. If you also have kidney stones for uric acid, avoid foods that contain purines (red meats, liver, organ meats, bluefish – anchovies, mackerel, beer and wine). The legumes have a moderate content. Do not overdo the fats consumption, since they reduce the surates excretion in the urine and may favor the kidney stones formation.